VGATE - robust automation server powered by VBASE. 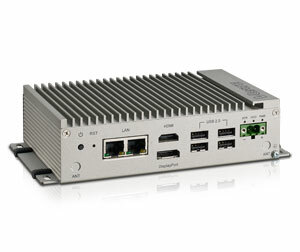 Robust compact server for machine-level use. 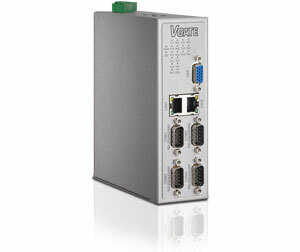 The products of the VGATE series are rugged compact server for data collection and data exchange between different systems, physical interfaces and protocols. They are suitable for use as a data switch, data collector, interface converter (e.g. Ethernet <-> Serial) or as a server for higher-level IT systems. All VGATE work with VBASE and are compatible with more than 200 different fieldbus, protocol and remote systems. All VGATE systems are shipped with a complete software package consisting of automation runtime environment, configuration software and operating system. 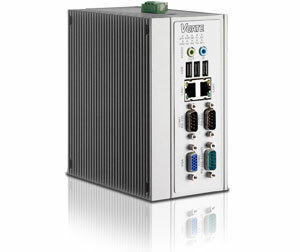 The VGATEs use powerful but fanless processors and are designed with no moving parts, which is perfect for machine-level use in industrial environments. 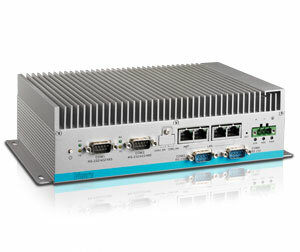 They have a large range of interfaces and can be flexibly integrated into existing applications. The compact units are designed for installation in the control cabinet and are able to work "headless" as a black box in the background and make the recorded data available on the network in real time. Please request our latest VGATE price list. VGATE actively communicates the process data from up to 5 multi-vendor systems, interfaces or protocols. 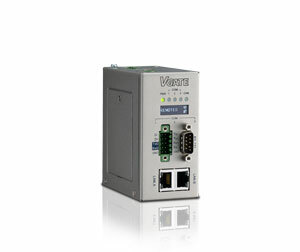 VGATE reads the process data from the connected systems and stores it cyclical or event-controlled to a data storage. As an IOT gateway, the VGATEs act as a central element for your IOT devices. They unite the different systems under a single user interface and enable communication among each other. 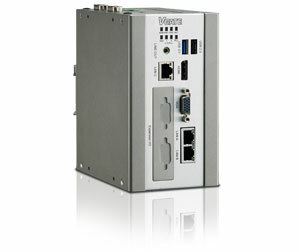 VGATE provides the process data of the connected devices for higher-level IT systems such as PDA, ERP or order tracking. VGATE provides the graphical user interface as an HTML5 website in the intranet or internet for connection via smartphone, tablet and desktop computers. 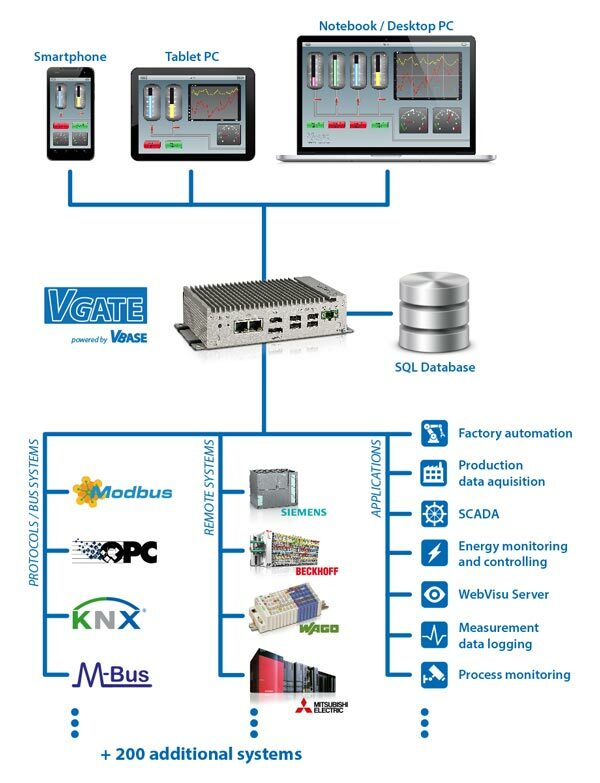 With many interfaces from the sensor to the ERP system and integrated MES functions, the VGATEs are suitable for data acquisition and as a superior system in production management. The VTP's are based on a hardware design that has proven itself for years in industrial practice. Due to the high connectivity of VBASE, all VTP and VGATE systems are compatible with more than 200 remote systems. Among them are, of course, the common control systems of the major manufacturers. With the VBASE Web-Remote all VTP and VGATE systems feature an integrated web interface on HTML5 basis. This enables the display and operation via a smartphone or tablet at the same time.